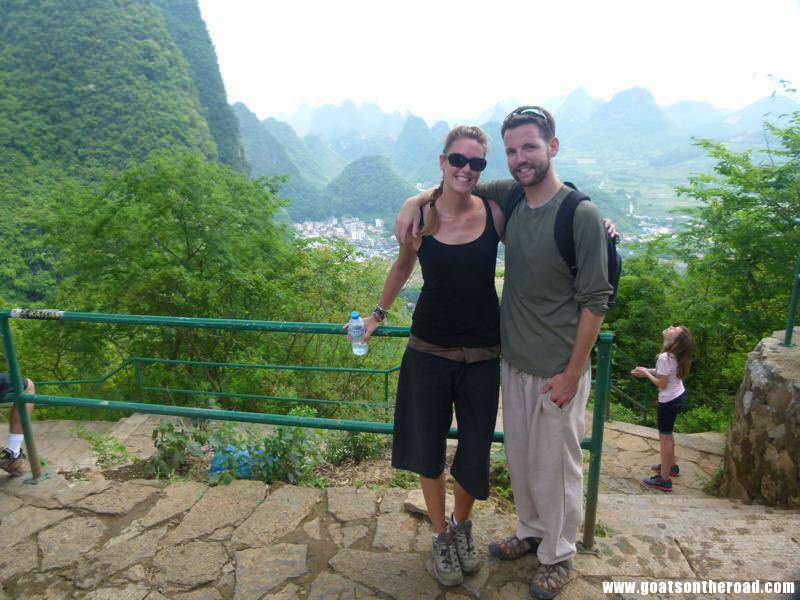 Yangshuo is full of amazing outdoor activities and sights. The best thing to do is rent a bicycle, set off into the countryside and explore the area yourself. The cost of renting a bicycle is 20rmb and you can find them all over the city, or at your hostel. For us, we found it a bit difficult to figure out which way to go at times, however, it didn’t really matter which way we ended up, because the sights were beautiful everywhere. 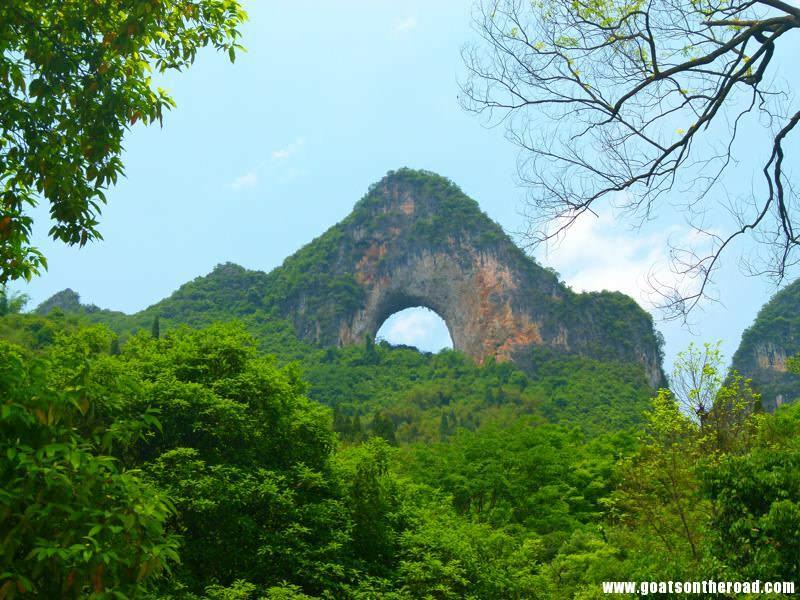 Moon Hill (south of Yangshuo) is a beautiful mountain with a moon shaped carving cut naturally out of the rock. To bike here from Yangshuo, it takes about an hour. You can admire the mountain from the bottom for free, or, you can spend 15rmb and hike the 800 or so steps up to the top of Moon Hill. The trek is strenuous in the humidity and heat, but the views make it all worthwhile. 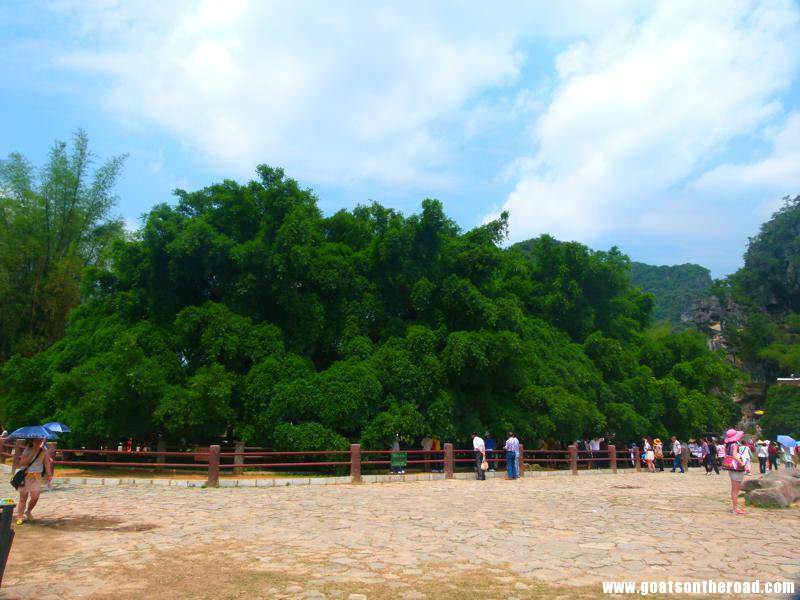 The Big Banyan Tree (south of Yangshuo) is a 1400 year old, beautiful tree. It’s massive, measuring 17 m high and 7m in diameter. The tree is located on the Jinbao River in a beautiful area with stunning limestone karsts all around. You can actually cross the river by foot to see some caves as well. The cost of entry is 20rmb. 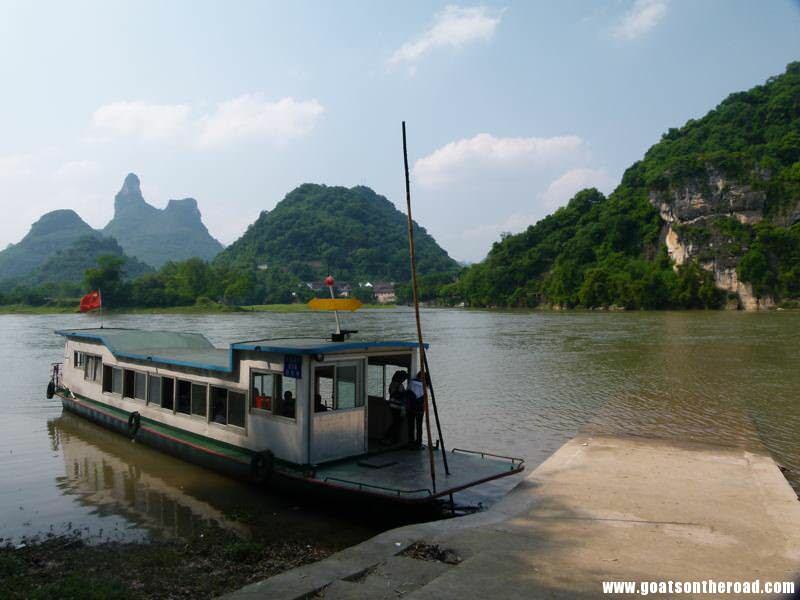 Many, many people take the boat trip down the Li River. However, we opted out of this idea. 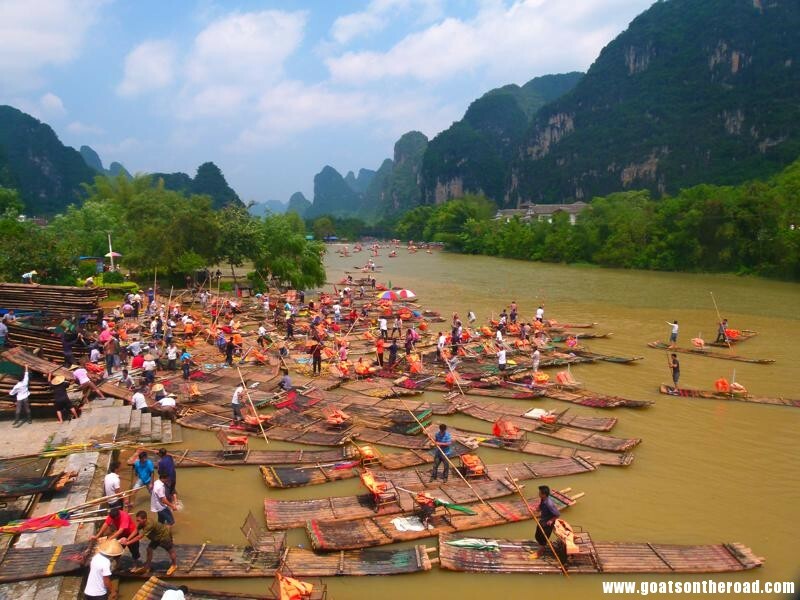 The cost of a raft down the Li River is upwards of 250rmb, which is just slightly out of our budget. We decided to just cycle along the river instead, admiring the views along the way. Plus, the river was packed with Chinese tourists when we were there. 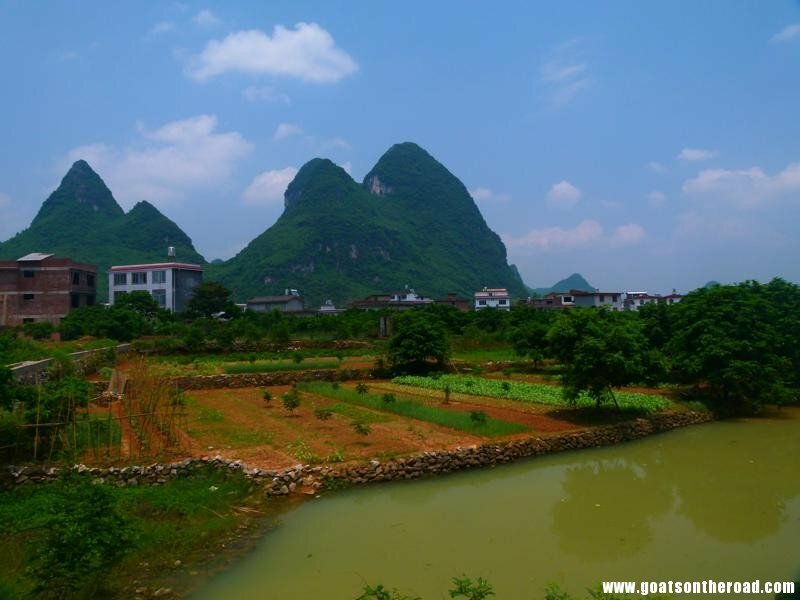 Fuli Village (east of Yangshuo) is a beautiful, typically Chinese village set on the river. 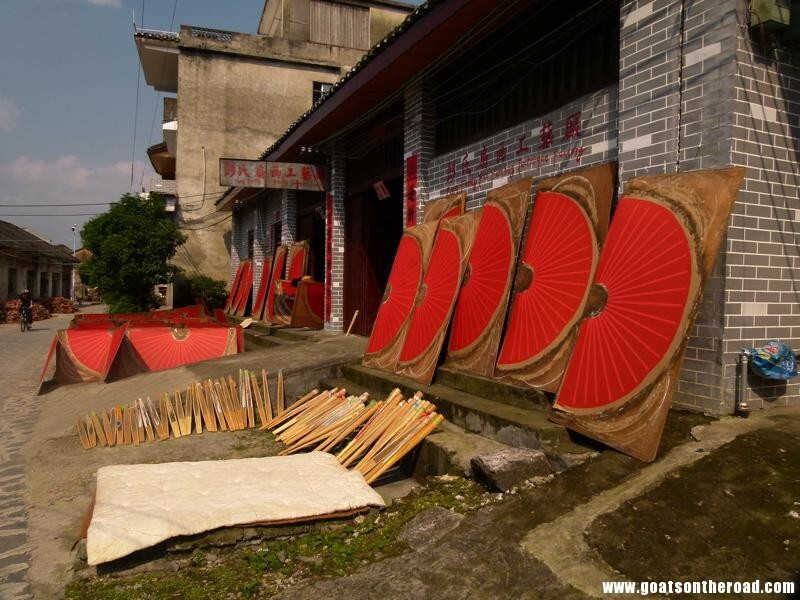 This historic village is known for its handmade fans. We cycled there from Yangshuo and it took us about 1.5 hours. The scenery along the way was stunning, with not a tourist in sight. We cycled to Dutou Village and put our bikes on a ferry (5rmb) to cross the river to Fuli. Definitely make your way to this village, it was a great ride there and a beautiful place. 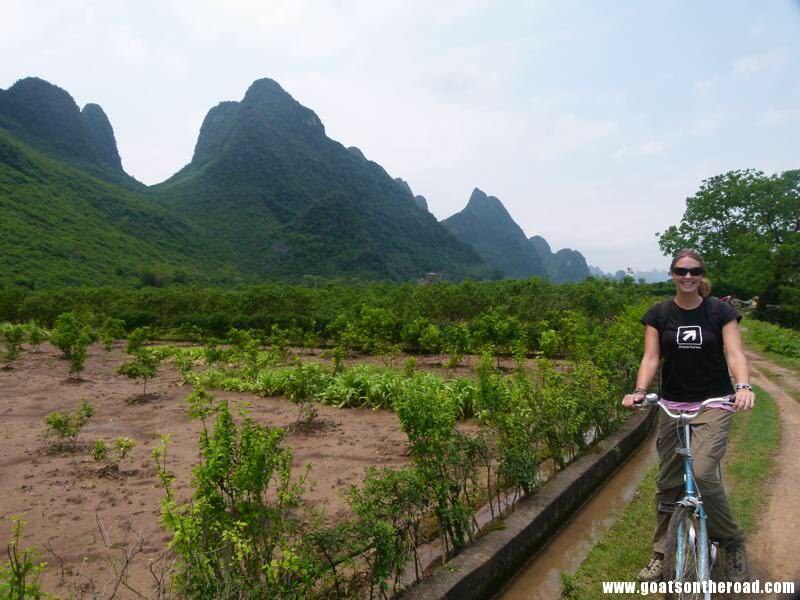 The Yulong River (north-west of Yangshuo) is a much quieter river to cycle along. We rode through the countryside following this river for hours. The fishermen, water buffalo and surreal rice paddies along the way made for yet another great ride. Do yourself a favour, come to this beautiful place, rent a bicycle and enjoy the peacefulness of the countryside.